It took 3 attempts at Miss Universe Great Britain for Anna Burdzy to bring home the crown! 25-year-old from Leicester Anna Burdzy was crowned the winner of Miss Universe Great Britain 2017 held on July 15 at the Riverfront in Newport, Wales. Anna triumphed over 34 other beauties including her court first runner-up Saffron Jade Corcoran and second runner-up Vicky Turner. 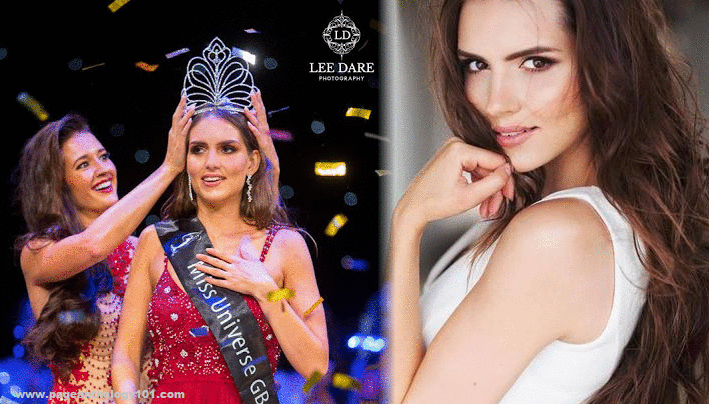 She succeeds last year's winner Jaime-lee Faulkner and will now represent her country at Miss Universe 2017 pageant. Great Britain has never won Miss Universe title. Will she be the first British to win the Miss Universe crown?